Welcome to an occasional new feature of Historyplaces called Our Favorite Sites where I ask public historians to talk about their favorite history sites and share some of the challenges they face presenting history to visitors. Bob Sutton is Chief Historian of the U.S. National Park Service based in Washington, D.C.
sworn in, Washington insisted that Adams should lead, followed by Jefferson, then by Washington the former president. It has been the same for every other transition, except between Adams and Jefferson–Adams skipped town before the swearing in. Which, if any, historic sites have you worked at? What was your job? I’ve worked at a bunch. 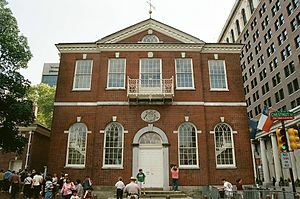 I actually worked at Independence National Historical Park, where Congress Hall is located. Also, Fort Vancouver in Washington State, Fort Stevens in Oregon, National Capital Parks-East which has a bunch of historic sites in the district and Maryland, and Manassas National Battlefield Park. 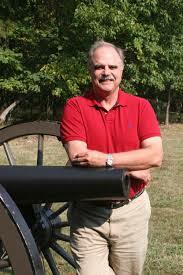 I was superintendent at Manassas, Assistant Superintendent at National Capital Parks-East, historian at the rest. If you’ve worked at a historic site, what is one challenge of running a historic site that most people would be surprised to learn? Here are two examples from national parks. When I was running Manassas, I spent far more time dealing with local zoning issues, trying to get a bypass designed and approved, trying to keep cell towers away from the edge of the park, and trying and succeeding in thwarting a Congressman from forcing me to give up land in the park so an intersection could be greatly expanded. In 2000, we held a symposium at Ford’s Theater titled Rally on the High Ground. We invited the leading scholars on the Civil War to discuss the most recent research on the topic. This became the launching pad for expanding our interpretation at Civil War Era parks, so go beyond “who shot whom, where, when and how.” The proceedings from that conference were published in: http://tinyurl.com/nrk2vfr. Many of our parks started expanding their interpretive programs to talk about the causes of the war, the aftermath, the impact on families, the experiences of common soldiers in comparison to their leaders, etc. Almost immediately, we started getting push-back from Confederate heritage groups when we started saying “that slavery was the principal cause of the Civil War,” but as the sesquicentennial approached, more and more parks included slavery as major parts of their interpretation. At Manassas, we were in the process of completely redoing all of our exhibits, films, and interpretive programs, and we were able to focus on the themes from “Rally on the High Ground,” with slavery as the cause of the war. Thanks, Bob, for sharing your experiences. This entry was posted in 18th century, 19th century, American Revolution, Civil War, national park, Our favorite sites and tagged Civil War, Congress Hall, historic site, historic sites, history, national park service, Robert Sutton. Bookmark the permalink.